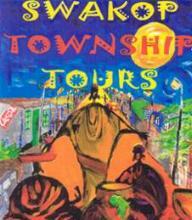 Hosts run daily tours into Mondesa township in Swakopmund, Namibia. Their aim is to give the tourist the opportunity meet the people of Namibia and learn more about their cultures and help the people of Mondesa and DRC communities. You walk through the streets of Mondesa taking the opportunity to chat with local people, visiting them at their homes and getting a fascinating glimpse into a typical Namibian township. 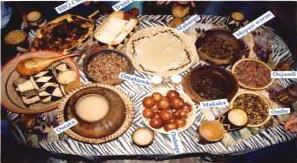 Hosts are attempting to include as many cultures as possible and people. At present there are Herero, Nama (medicine man), Damara and Ovambo cultures represented. The tour includes drinks and culinary discoveries…you stop at the local shebeen (African pub) and indulge in traditional food in an Owambo hut. At night you are entertained by the OB Street dancing girls. Performing traditional Ovambo dances around the fire and during 11 a.m. tour you visit a kindergarten. These tours are 4 hours in length and depart twice a day at 11 a.m. and 3-4 p.m. Minimum of 2 people per tour is required. Bring a camera along for unique photos ... with permission! But most important bring a big smile, open mind and enjoy meeting our wonderful people of Namibia.